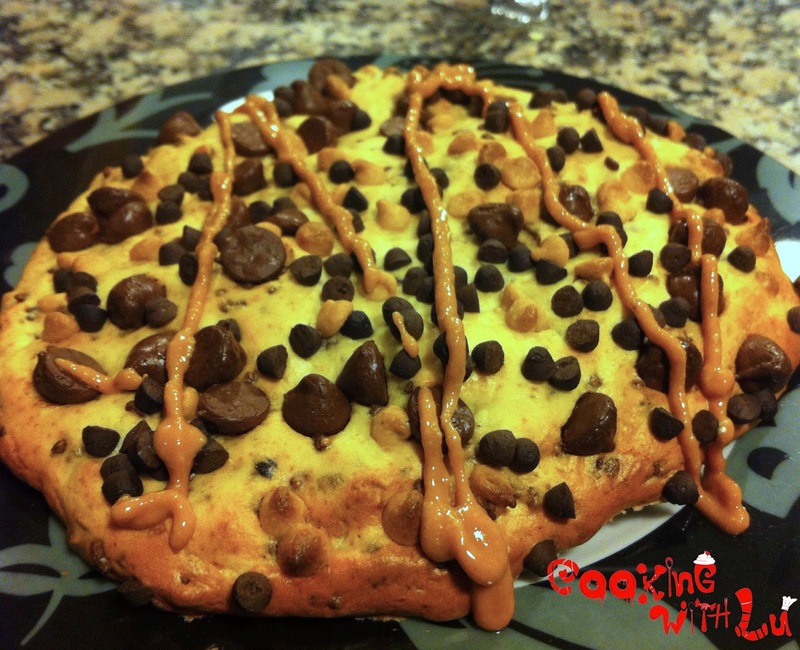 Cooking with Lu: Mega munchies XXL cookie: super easy AND super delicious!! 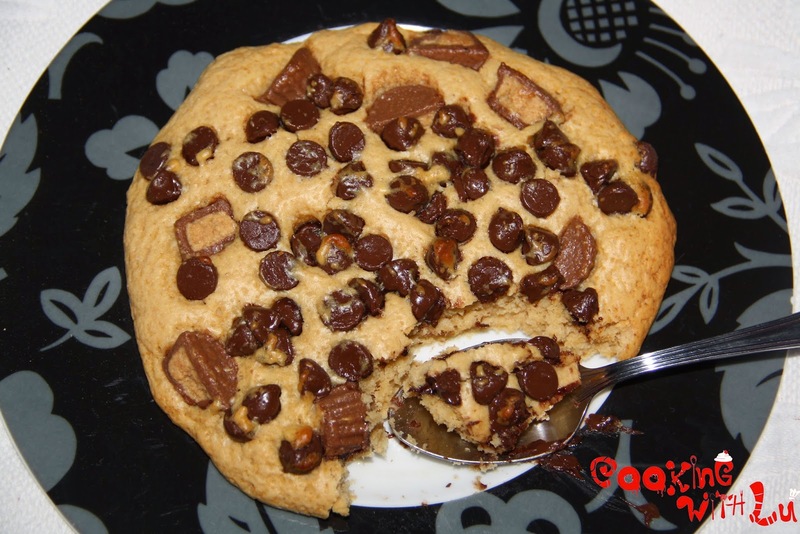 Mega munchies XXL cookie: super easy AND super delicious!! 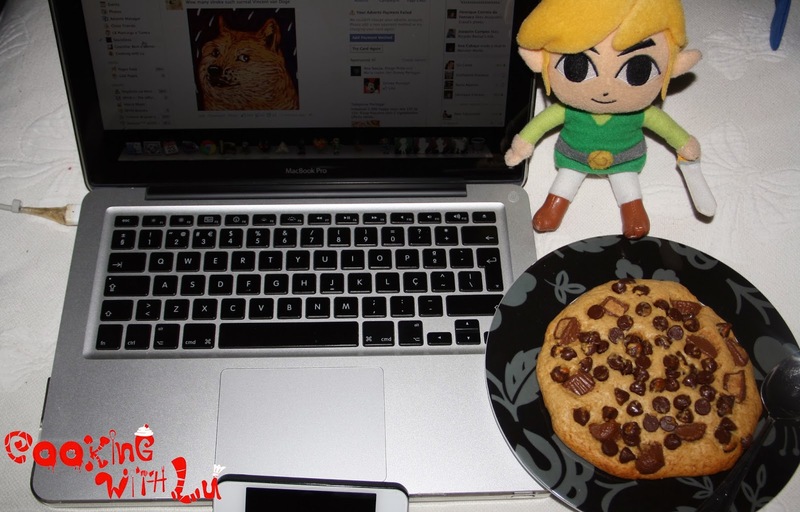 So i was just browsing around food blogs (all I do actually, I love looking at food) and I came across a XXL cookie on Sally's blog and decided I just had to try it and tweak it and boy did I ever... I have been making one a day every day since I first made it to test it... In fact, I am having one right now! They take about 3 minutes to prepare and 10 or 15 to bake and are just YUMMY. You can make one super large one or divide the dough into 4 smaller ones and enjoy them throughout the day instead of all at once (I am more of an all-at-once kind of person). These are not particularly low in calories but hey, they're a dessert, they are awesome and one's gotta live every now and then, right? Here goes the recipe, enjoy! - Bake for about 10 minutes or until edges are brown and enjoy! 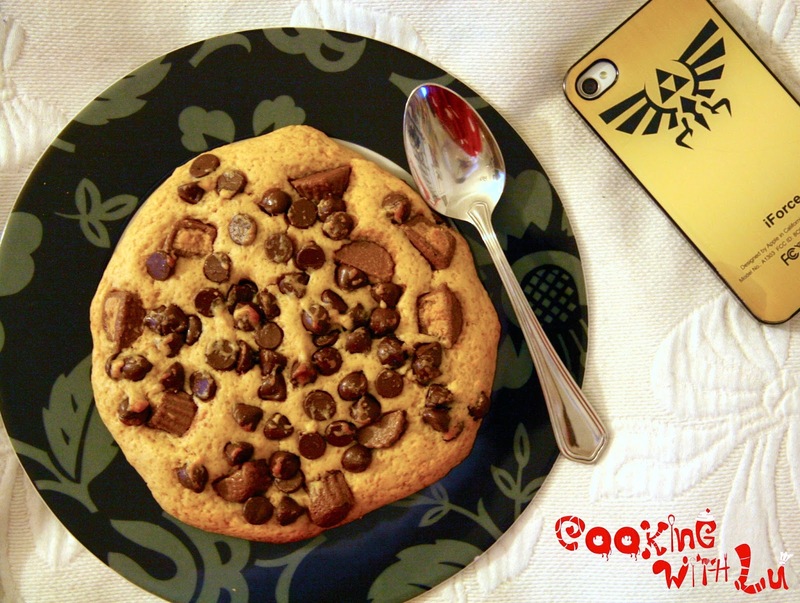 the cookie looks amazing ! really like your recipes keep them coming !